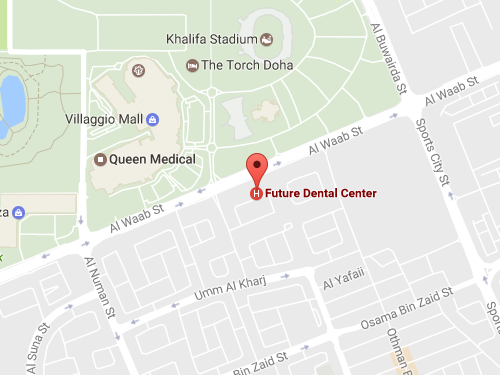 Future Dental Center is located adjacent to Future Medical Center on Al Waab Street.Offering treatments in all dental Specialties and with 10 Kavo Dental Chairs,Future Dental Center is rated as the largest and most modern Dental Polyclinic in the state of Qatar. Future Dental Center is the first Dental Polyclinic in Qatar to offer both 2D and 3D, OPG Dental X-Ray services. The Clinic is already featured on the networks of almost all Health Insurance majors – local and international – enabling clients with Health Insurance to avail cashless services at the clinic.